This Morris Minor was purchased in 1959 by David's grandfather, Lee Gillenwater - the last car he ever purchased. That was the beginning of David's long-time fascination with classic British motorcars. In 1978, with much time and love, David disassembled the Minor and put it back together, even with the nuts and bolts matched to their original spots! Most of the paint, and the interior (except the carpet and seat covers) are original to "Mr. Morris." Since its first car show in 1986, this Minor has won AACA 3rd, 2nd, and 1st Junior awards. 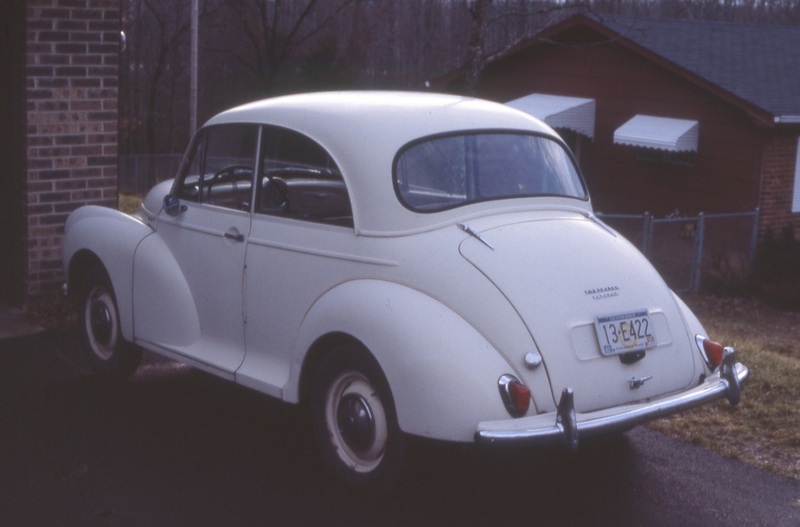 It was the first Morris Minor to receive an AACA Senior award, and is the only Morris Minor to achieve the AACA Grand National award. Mr. Morris has received multiple AACA Preservation awards as well as many local car show trophies. The picture below was taken before restoration began.